flicking flies, watching you with its yellow hunter’s eyes. Pride is too wild to be racial. His silence is a contest: who will win? Usually not the person who begins. to be or not to be a Z-3. to wield the consumer power. cash is the salve for the nation. contractions coming four by four! You’re the father of a healthy brothel nation. Now owns the corner, trash piled like a scar. some leaders are Mercedes, and some are Jaguar. to give you a license for greed. to where your ancestors come from? but the line is blurred for I.
ready to make our contribution. I can’t look back to a time when everything was perfect. so much for dialogue with the elite. He clears his throat and departs. Well, you can’t end a conversation that never really starts. I look out of the window at the sunset. exhaling burnt blood and dressings into the smouldering sky. I drink my tea alone and read the leaves. the piece that never fits. One day the Hillbrow Tower started to cry. they started to weep in sympathy. and filled the depressions and valleys. A diet consumed at once to fortify strength, the crumbling debris of a meal to heal! “More please”. the story of Oliver the rightful heir fundamental. 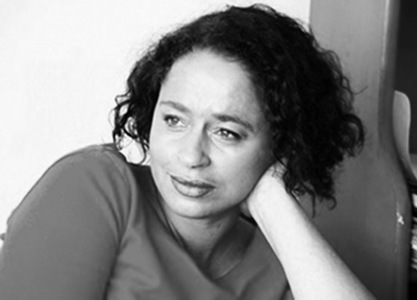 Multi-award winning poet, playwright and performance artist, Phillippa Yaa de Villiers is a graduate of the Lecoq International School of Theatre in Paris. Her poetry ranges from the private to the political, exploring matters serious, satirical and sensual. She has a prolific portfolio of national and international stage and television productions. Taller than Buildings is first collection of poetry.